Funding your energy efficiency projects doesn’t always require taking out a separate loan or refinancing your mortgage . Many utilities offer on-bill financing programs that pair loan repayment with monthly energy bills to make it easier for homeowners and businesses to invest in energy efficiency improvements for their properties. 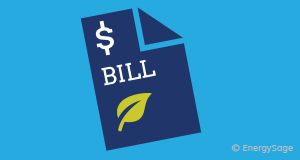 On-bill financing for energy efficiency is designed to make it as easy as possible for property owners to access capital for energy efficiency measures. In an on-bill financing program for energy efficiency, utility customers repay their energy efficiency loan through monthly repayments on their energy bill. There are two types of on-bill programs. With on-bill financing, the utility provides its own funds to complete the energy efficiency upgrades, and the customer repays the utility through their monthly energy bill. With on-bill repayments, a third party lender provides the funds, but the customer can still repay the loan through their utility bill. Many on-bill programs use the concept of “bill neutrality” to determine how much money to lend to a customer. In those cases, energy savings need to equal or exceed the new monthly on-bill loan payments. As with energy efficiency mortgages, an energy auditor will estimate the expected energy use reductions to decide your repayment structure. What makes on-bill financing different from other options? While on-bill financing provides homeowners and businesses with funds to make upgrades to their property, it is different from standard home improvement loans in a few important ways. Instead of repaying the loan to a lender, property owners pay the loan back in monthly installments through their utility bill. In most cases, monthly repayments will be lower than the savings from energy efficiency projects, resulting in net savings from day one. One of the reasons that on-bill financing is a popular option is that it is accessible even for property owners who would not qualify for traditional loans because of their credit score. On-bill financing programs can use a utility customer’s on-time bill payments to determine eligibility, rather than a credit check. Your utility bill savings with energy efficiency will be incremental, but they add up over time. When you conduct energy efficiency improvements using on-bill financing, you immediately begin to enjoy the financial benefits of reduced electricity use without having to pay anything upfront. In most cases, your monthly repayments won’t exceed your savings from the energy efficiency measures you undertook, so you will immediately benefit from your energy efficiency investment. If you sell your property before your loan is completely paid off, you may or may not be able to transfer the remainder of the loan to the new property owner depending on the program structure. If you can, the buyer will take on the loan payments as part of their utility bill. If you can’t, you will have to pay the rest of the loan off in full when you move. However, because energy efficient homes tend to sell for a higher price, you should be able to pay off the remainder of your loan without losing any money on your investment. As with other specialized energy efficiency financing programs, the availability of on-bill financing is dependent on where you live. The good news: many utilities want to encourage their customers to be more energy efficient and see on-bill financing programs as an effective way to do it. In some cases, the state or local government in your area might also provide support – financial or otherwise – to pave the way for on-bill financing. Utilities in California, Connecticut, Hawaii, Kansas, and New York are among many that offer on-bill programs of some kind. The best way to find out whether your utility offers an on-bill financing or on-bill repayment program for energy efficiency is to contact them directly. Some utilities offer programs exclusively for commercial or residential properties, while others have broader eligibility criteria.